There’s an old song that says fame and fortune is just a passing thing. The song’s writer conveys the message that riches and being well recognized are not nearly as important as family, relationships and love because these are things that are eternal. Most people, whether they’re believers or not, would likely agree with that sentiment. 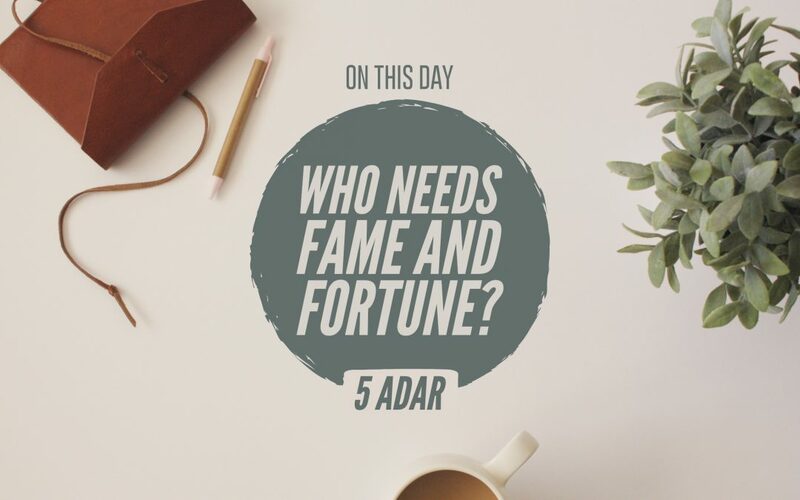 So then, why do people, even believers, still seek fame and fortune? While He didn’t say that it was impossible for a rich man to enter the Kingdom, He did make it very clear that it’s going to be very difficult. Why is that? Perhaps it is because riches afford us the things that our flesh and carnality long for. Likewise, fame does the same thing. It seduces those who have it into thinking that laws and rules that apply to everybody else don’t apply to them. Again, it underscores the notion that our design is not conducive to righteously bearing fame and fortune. Think of all the rich and famous people who have come to an untimely demise and many times in a very unflattering, infamous way. Again, we are not designed for the fame or fortune that allows for our fleshly desires to be satiated. We’re designed for one thing and that is to serve our Creator. If that means He elevates us to prominence and prosperity, so be it. But if that means no one knows our name and we live paycheck to paycheck but are doing His will, so be it. Fame and fortune is just a passing thing. To have a relationship with the Creator and to be content with the blessings He has given us – our spouse, children and other relationships – is eternal. Let us then strive to attain those things that He deems as noble, praiseworthy and life-giving.